The android technology of smart phones and tables has currently become the most widely used surpassing the Symbian in the year 2010.The increased use has been due to their wide applicability and the open source software used in their manufacture. The software has allowed programmers to conduct mobile applications development relatively easily and without having to start from the basics. The keyboard is essential especially while out of office enabling you to easily reply to your emails without having to go to the office. Documents to go; This application is offered at a fee of about 30 dollars and very important for reading of documents such as MS Word, Excel and even PDF documents. For email documents, the free version is sufficient. Google Docs: Very important for companies that prefer to keep their documents on the cloud. These are more easily accessible than while using an ordinary browser. Making and keeping contacts is very crucial in business. The “Bump free’’ Android application also compatible with iPhones allows simple exchange of electronic business cards by simply bumping the phones together. Fonelink: Since the ordinary business person does not keep their phone in front or by the desk, important communications may be missed out. This Free app sends text messages received to your PC and from PC to phone so no communication is missed. GoBank allows you to access your business transactions with the bank and balance them out without having to hassle with the bank. Flashify mobile application allows you to back up your data from the Personal computer to the phone. It’s especially useful for small businesses that may not afford a fully fledged Information technology department. Wunder map links with weather underground which transmits weather information to your phone for you to plan your day well. Paper artist allows for all forms of photo editing as well as adding messages to your photos for better representation. 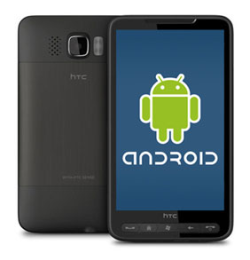 The android operating system devices such as the Smartphone and tablets have succeeded in the applications market largely due to the open source software used in their manufacture. Open source refers the software code being available to programmers and users, thus allowing them to be customizable and easier creation of applications. World class applications such as fonelink, Gobank, Flashify, wunder map, paper artist and many more coming up every day have made it market leader and a technology focusing on the future.